Sweltering summer weather means it’s time to use the air conditioner to keep your home cool. An air conditioner that breaks down in the middle of a heat wave can leave you uncomfortable and require expensive repairs. Although it’s impossible to eliminate the possibility of a breakdown, a few simple steps can help you avoid early problems and costly air conditioning repairs. One simple thing that makes a big difference in minimizing AC repair services is changing the filters on your air conditioner. Air conditioning filters capture dust and other debris particles which keeps them out of the unit and helps it run more efficiently. Dirty filters hinder airflow and don’t operate as effectively. Plan to change the filter monthly to help keep your AC unit operating efficiently. Scheduling a visit from an HVAC company for annual air conditioning repairs is another way to avoid costly repairs. 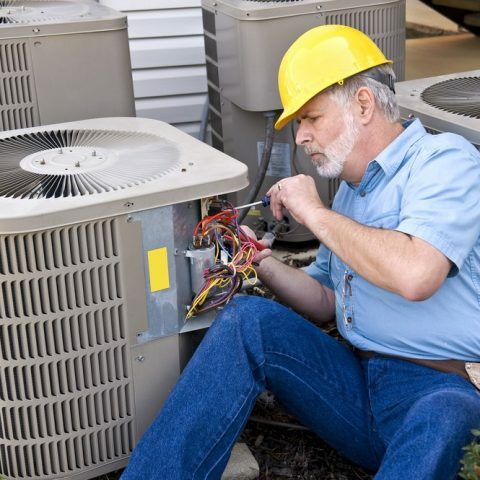 Annual maintenance helps keep the AC unit in good working condition, and technicians can catch problems while they are still small and easier to fix. Spring is an ideal time to schedule the maintenance visit so that you know your air conditioner is in good shape before the heat of summer begins. Don’t neglect the outdoor air conditioning unit. Regularly check the unit and remove any leaves or other debris that has collected around or in the unit. Look over the unit and listen for any unusual noises; if you notice anything that doesn’t seem right, contact a heating and cooling company for AC repair services. No one likes paying for costly air conditioner repairs, particularly when those repairs could have been avoided. Use these tips to minimize the need for expensive repairs by keeping your unit in good condition.